Cite this page: Bychkov A. World Health Organization (WHO) classification. PathologyOutlines.com website. 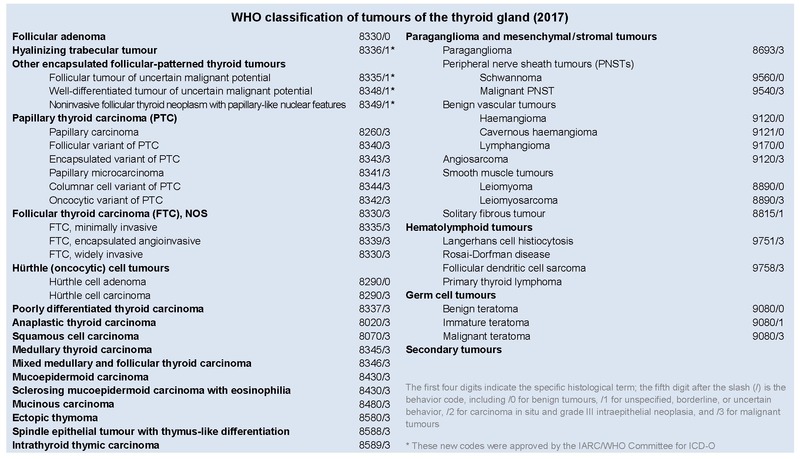 http://www.pathologyoutlines.com/topic/thyroidwho.html. Accessed April 25th, 2019. Images contributed by Andrey Bychkov, M.D., Ph.D.
term "Hürthle" is favored over "oncocytic"
"anaplastic" is favored over "undifferentiated"